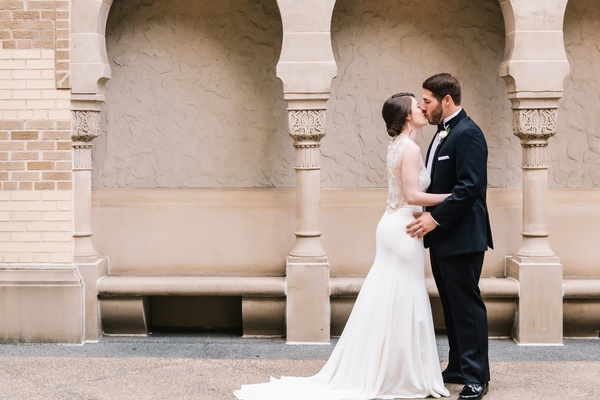 Vicki Bass and Ryan Holzer may have overlapped in their time at the University of Georgia, but that doesn’t mean they were college sweethearts. 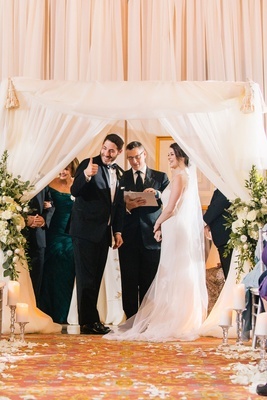 “Our paths definitely crossed in college, but we didn’t really get to know each other until we were both back in Atlanta,” explains the bride. Ryan and Vicki had a network of mutual friends from college, which lead to the pair properly getting to know each other. They shared their first kiss on Christmas Eve in 2010, but mistletoe was not responsible for the smooch. 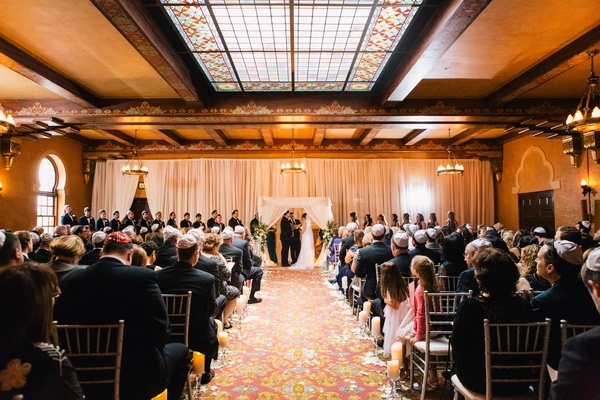 “We are both Jewish, so we were at a party that night – not as romantic as it sounds,” laughs Vicki. 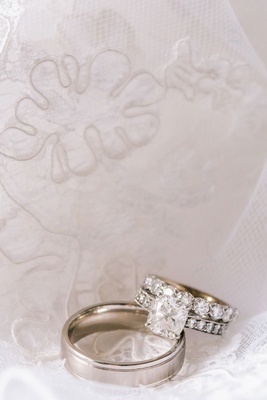 The future bride and groom followed that up with a New Years kiss and began dating steadily soon afterward. A little over three years later on a typical Wednesday evening, Vicki arrived to the home she now shared with Ryan to find him at the end of their hallway, which he had lined with candles and rose petals. 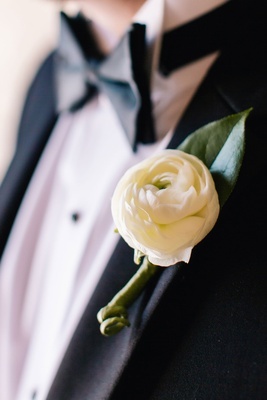 “When I opened the back door I was absolutely stunned but somehow made it down the hallway to Ryan,” reveals the bride. 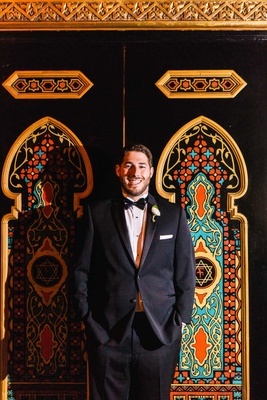 After Vicki accepted his proposal, Ryan reveals that he had arranged for all of their family and friends to come over to the house and celebrate. 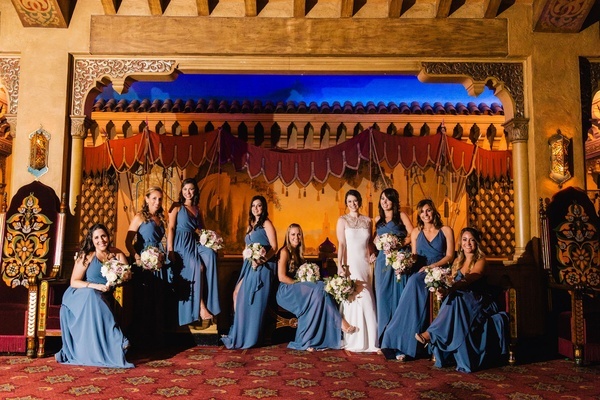 “It was beautiful and intimate and really allowed us to bask in the happy occasion,” Vicki muses. 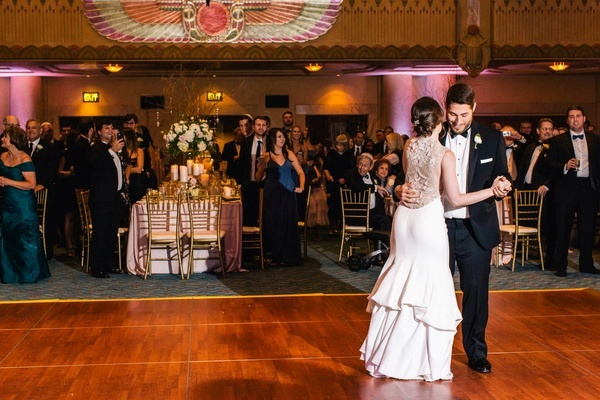 With the help of their planner and the bride’s mother, the couple selected a historic theater in their home of Atlanta. 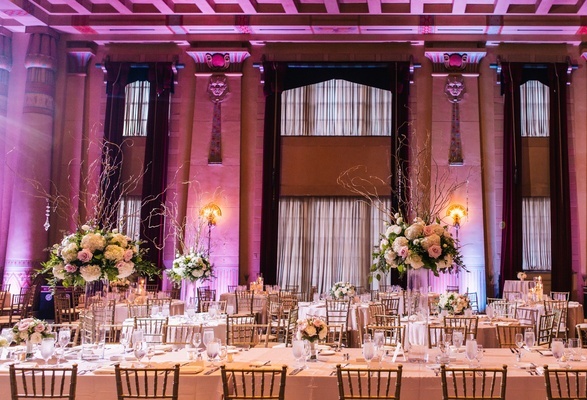 The unique space helped Vicki land on an aesthetic for the wedding. 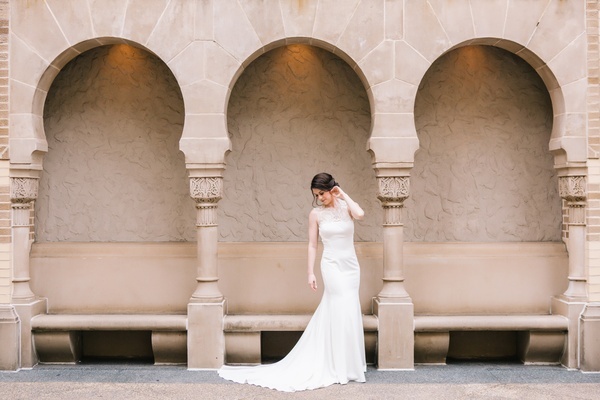 “Our venue had a very specific look and it lent itself to a 1920s vibe, so we went for a theme of ‘striking and simple’ with touches of 1920s glam,” the bride shares. 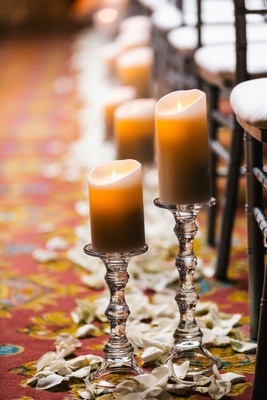 The ceremony aisle featured candles and rose petals, not unlike those that graced the couple’s hall when Ryan proposed. 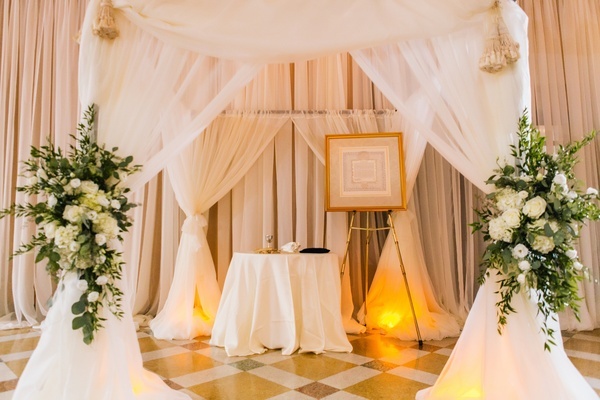 Their chuppah was made of eggshell drapery, with each base tied with an arrangement of ivory blossoms and verdure. After the breaking of the glass, it was time to get the party started. Vicki and Ryan started the night off with a more energetic dance. 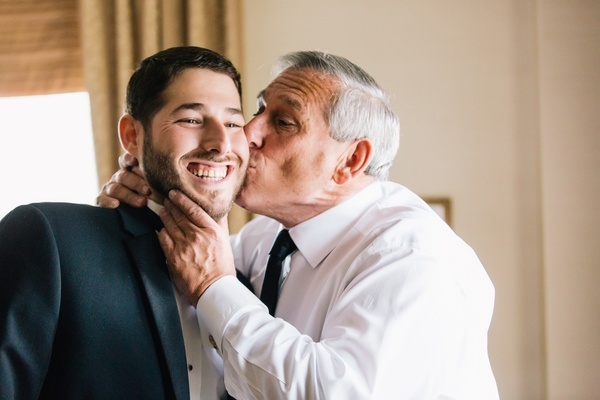 The father of the bride chose the newlywed’s first dance song, selecting “Can’t Take My Eyes Off You” by Frankie Valli. 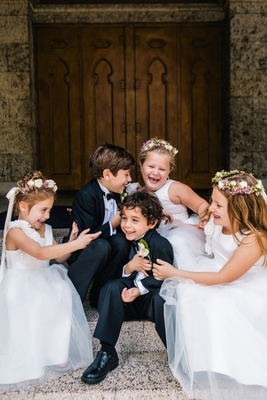 “We wanted our first dance to be lighthearted, fun, and a little goofy! I think we achieved that. 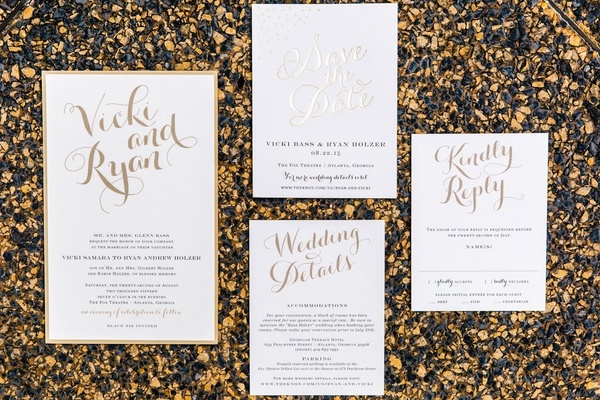 Ryan was really breaking it down by the end of it,” divulges the bride. 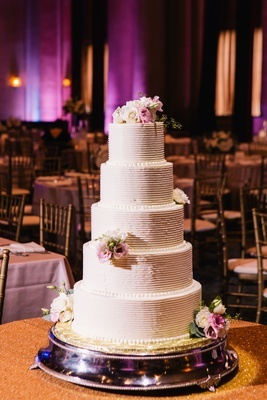 To minimize breaks in dancing, the couple chose to cut the cake immediately after dinner and did not participate in a bouquet or garter toss. 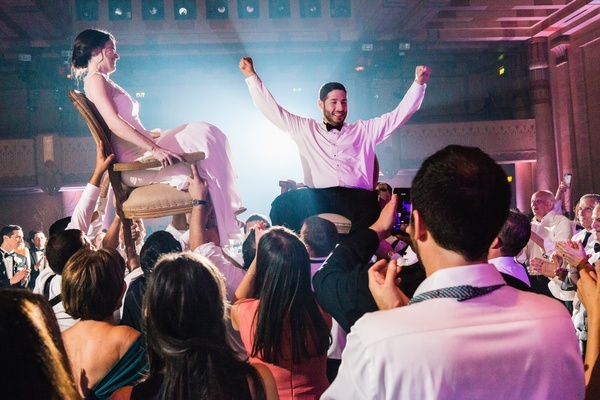 “We just wanted everyone out on the dance floor for as long as possible,” Vicki explains. 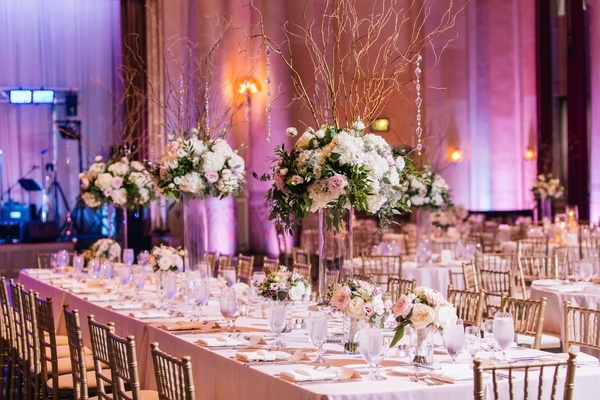 When they weren’t dancing, guests were wowed by the stunning centerpieces. 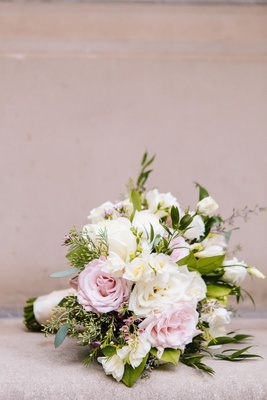 “The estate table had tall, dramatic arrangement in tall cylinder vases featuring curly willow branches, surrounded at the neck of the vase with lush foliage and really full gathering of large ivory hydrangea blossoms, blush pink roses, ivory lisianthus blossoms and shoots with crystals hanging from the branches,” tells the bride. 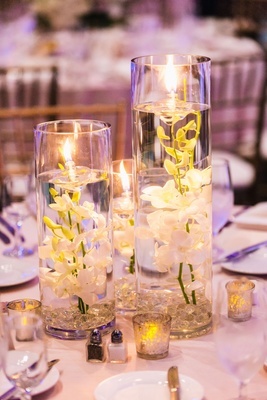 Other tables featured smaller versions of the aforementioned arrangements, trios of glass cylinder with submerged alabaster blooms and floating candles, and low centerpieces in mirrored vases with verdant greenery and floral accents. 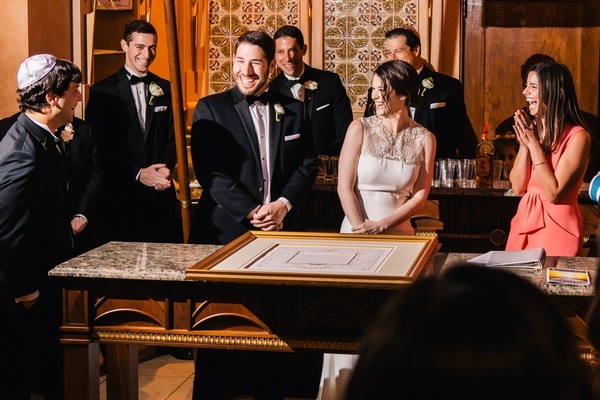 Instead of a traditional guest book, friends and family were asked to sign on of three bottles of wine. One is to open for their first anniversary, one for their fifth, and one for their tenth. “I am so excited about opening the first bottle and looking at all of the signatures!” shares Vicki.